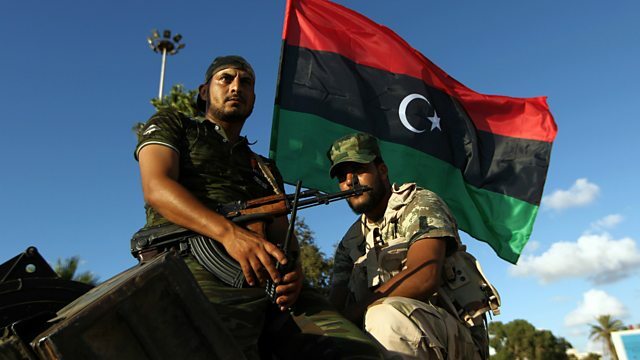 BBC World Service - The Real Story, A New Deal for Libya? After the fall of Muammar Gaddafi in 2011, Libya has descended into a chaos of warring factions. Western forces that initially supported the uprising are now largely absent and Islamic State militants have taken advantage of the power vacuum. The breakdown of a coherent administration has also allowed Libya to become a major route for African migrants seeking to cross the Mediterranean into Europe. Now, after lengthy and difficult negotiations, there is a glimmer of hope with the main factions agreeing to form a unity government, and the deadline for the formation of this administration this weekend. Join Owen Bennett Jones and his panel of guests on Newshour Extra as they discuss the prospects for peace in Libya. Does Libya need international help? A "ray of hope" for Libya?